Asia’s biomedical sciences have made rapid advances in recent years. At the heart of this remarkable development is Singapore, the region’s leading bio-cluster. To date, the world’s top pharmaceutical and medical technology companies have setup regional headquarters in Singapore, attracted by the city-state’s world class infrastructure, outstanding intellectual property protection, strategic research collaborations, as well as extensive regional and global connectivity. Some of the global brands which have established a presence in Singapore include: Bauer Schering Pharma, Abbott, GE Healthcare, Johnson & Johnson, Merck Sharp & Dohme, and Roche, among other key industry players. Singapore’s biomedical sciences industry sectory offers an integrated research and academic ecosystem that enables international firms to tap a diverse range of capabilities. This multidisciplinary and interdisciplinary approach sets Singapore apart from other biomedical research hubs. In addition, the sector leverages collaborations with relevant research institutes and consortia, particularly in the areas of: clinical sciences, genomics, bioengineering, molecular/cell biology, medical biology, bio-imaging and immunology. According to the Singapore Economic Development Board, there are currently over 50 Singapore-incorporated companies that are focusing on biomedical sciences R&D, including drug discovery, translational and clinical research. These private sector firms, in turn, frequently collaborate with research institutes on various initiatives. Such strategic collaborations, along with the synergy of shared capabilities, have resulted in robust quality growth, making Singapore the leading biomedical research and development hub in the region, and one of the world’s most rapidly growing bio-clusters. Bolstered by its vibrant R&D community, Singapore has likewise emerged as an ideal location for biomedical manufacturing. Some of the globe’s leading biopharmaceutical brands and medical technology companies have invested in commercial-scale manufacturing facilities in the city-state, including Abbott, GlaxoSmithKline, Lonza, MSD, Novartis, Pfizer and Sanofi-Aventis, among others. Singapore fosters a pro-innovation environment that facilitates the development of innovative therapies, while simultaneously ensuring global standards of safety, quality and efficacy. The Singapore Health Sciences Authority (HSA) plays an active role in defining new regulatory frameworks to further improve research programmes in relevant fields. The HAS Academy developed synergies across a unique conglomeration of diverse scientific and biomedical capabilities. In addition, the agency has been a catalyst for thought leadership in Singapore, facilitating global discussions on cutting-edge issues in various areas of biomedical sciences. More importantly, the government has pioneered strategic initiatives to promote clinical excellence and research advancements. Some of the noteworthy programmes include the Singapore Translational Research (STaR) Investigator Award, the Clinician Scientist Award (CSA), and Translational & Clinical Research (TCR) Flagship Programme, among others. 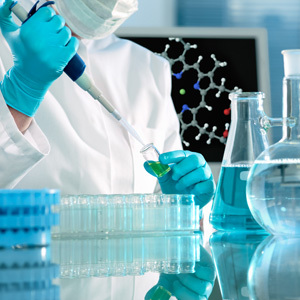 The Singapore biomedical sciences industry has immense potential for rapid growth. With a strong research backbone, excellent infrastructure and a pro-innovation ethos, the city-state will continue to be a dominant player in the global biomedical technology industry. The Singapore biomedical sciences sector has immense potential for rapid growth. With a strong research backbone, excellent infrastructure and a pro-innovation ethos, the city-state will continue to be a dominant player in the global biomedical technology industry. As such, Singapore-incorporated companies and research organizations are poised for further expansion. In succeeding years, the need for qualified talent will escalate. Congruently, investors are anticipated to form a Singapore company to fill gaps in relevant growth areas. Meanwhile, Singapore has committed S$16.1 billion in continued support of research, innovation and enterprise between 2011 and 2015. Out of these resources, a total of S$3.7 billion will be invested to enhance existing R&D infrastructure, integrating multidisciplinary research and translating findings into practical solutions.